A small but important feature in OpenERP Point of Sale. If we look at the screens that are displaying below, gives complete detail of what we have implemented. 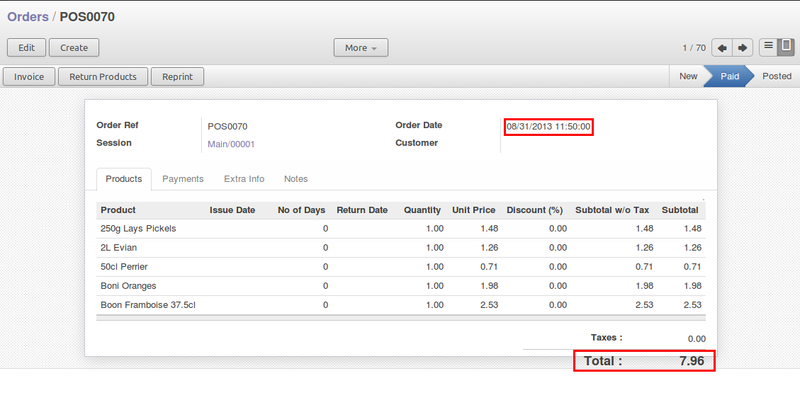 User can select Order Date from POS Interface and it will be displayed on POS Receipt as well as backend order also. Its upto us that how we use but normally we use POS for current date sales only. We can see that selected date in first image is displayed on the receipt here. The same date is also displayed in the POS Order table in the backend. Because of time difference calculation in the OpenERP, we can see time different on the order but that can be resolved. And the same date in the last order form also.